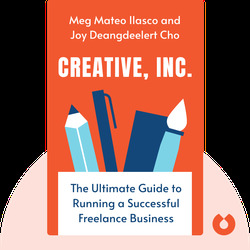 Creative, Inc. (2010) provides a handy step-by-step guide to setting up and running a freelance business. 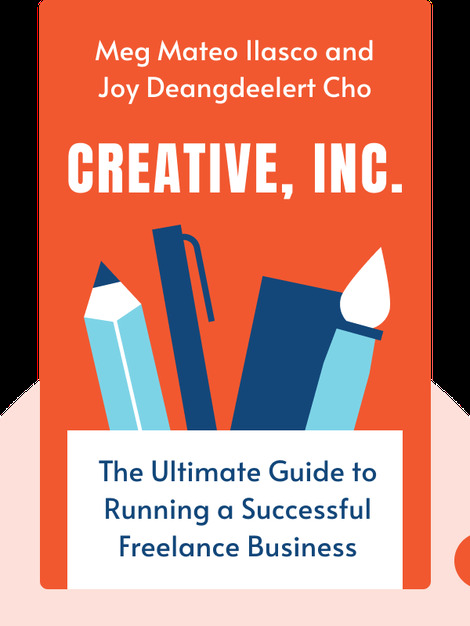 Clearly structured and packed with tips on everything from advertising and agents to portfolios and pricing, this is an indispensable guide for those considering turning their artistic talents into a freelance career. Meg Mateo Ilasco set up her freelance business Mateo Ilasco in 2005, specializing in housewares, gifts and stationery. She has written several other books including Craft, Inc., and runs the Modern Economy multi-designer sample sales. Joy Deangdeelert Cho launched her business, Oh Joy!, in 2005. Her designs for textiles, packaging and branding are snapped up by clients in the fashion and food world. She also markets her own line of stationery nationwide, as well as keeping an award-winning blog.